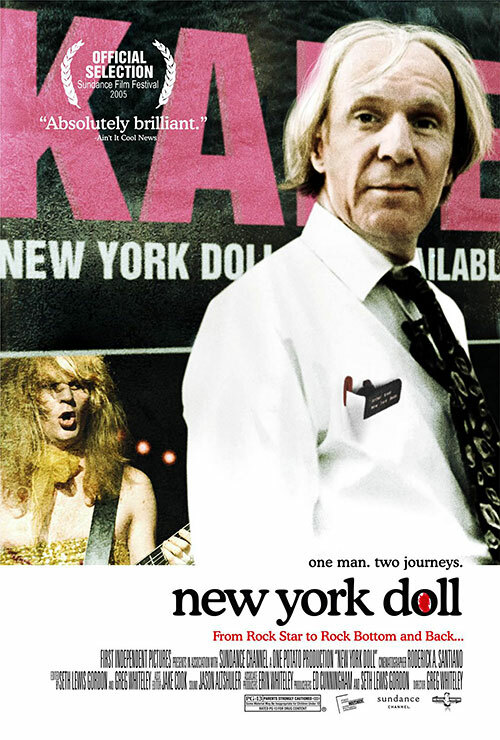 Nominated for the Grand Jury Prize at last year’s Sundance Film Festival, Doll was described by one critic as possibly “the only documentary that will appeal to punks and Mormons alike.” But surely it deserves a wider audience than that. And, whatever you do, be sure to stay until the end of the closing credits for David Johansen singing an acoustic version of “A Poor Wayfaring Man of Grief.” Truly one of the most surreal film moments of 2005. I have never seen The Passion of the Christ . Many people are surprised by that fact, but Mel Gibson has been making me increasingly uncomfortable over the last two decades. If you look back at his acting and directing career, it’s pretty obvious that the man has a grotesque fascination with pain, punishment, torture, and death. It has been there since the beginning (think Mad Max and the aptly-named Punishment ) but by 1999 it was so bad that he actually fired the director of Payback and took over the film so he could insert torture scenes showing his character getting his toes smashed with a hammer. The guy just totally creeps me out. That didn’t go over very well. And this probably won’t either: Don’t bother going to see King Kong . Why? Because you’ve got better things to do than subject yourself to a three-hour snuff film. At a cost of over $200 million and a running time of 3 hours and 7 minutes, King Kong is not what you would call “economical storytelling,” either in monetary or narrative terms. 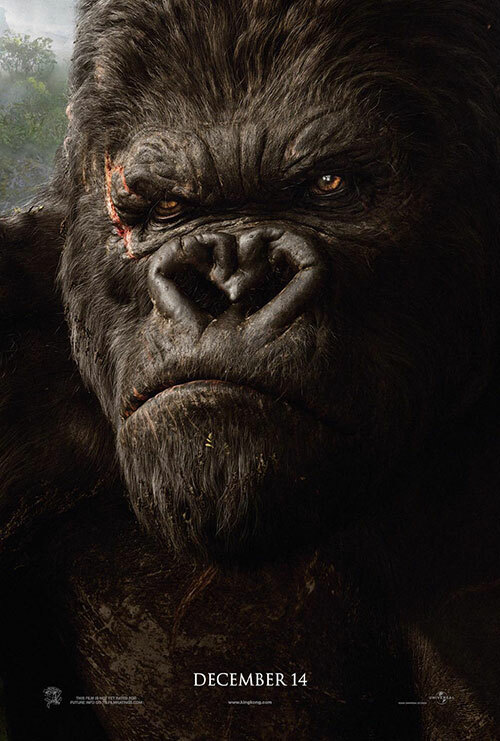 It takes over an hour just to get to Skull Island, and once we get there we can’t just meet Kong, capture him, and take him to New York. Oh, no. First, we’ve got the extremely unfriendly natives, then the stampeding brontosauri (with accessory raptors), then a rampaging Kong, then the really, really big lizards, then a battle with not one…not two…but three Tyrannosaurus Rexes simultaneously (WHILE DANGLING FROM VINES, for heavens sake), then the really, really big bugs, then a rampaging Kong again, then the really, really big bats, then another rampaging Kong, etc, etc, etc. There’s the initial scouting party, followed by the scouting party’s surprise rescue party. Then there’s the second rescue party, followed by the second rescue party’s surprise rescue party. Then there’s the fourth rescue party (of one), followed by the surprise capture party. I was really hoping to be able to take my daughters to see the film, but there’s no way in the world I would make them sit through it. This is easily the most violent PG-13 film since Mr. Jackson’s final installment of the The Lord of the Rings trilogy. But at least the violence in that film was an integral part of the story about the ultimate battle of good and evil. Here, the violence is just an integral part of the entertainment. As Jack Black’s film crew gets knocked off one after the other and he keeps giving his little “He will not have died in vain!” speech, we’re supposed to be appalled by his rather transparent entertainment-at-all-costs mentality. But how is that different from Mr. Jackson’s own entertainment-at-all-costs mentality? The body count in this film is outrageously high and Mr. Jackson seems to take great delight in offing his characters in ever more awful and gruesome ways. By the time Andy Serkis has his limbs and head devoured by the really, really big lamprey-worms, the film has pretty much made the transition from the potentially marvelous to the merely torturous. How this film got a PG-13 rating is beyond me. I’ve heard that it escaped an R rating because the violence is relatively bloodless, but that almost makes it worse. While the animal violence is depicted in great gory detail, the human toll is completely sanitized. Almost-inhuman natives are gunned down in large numbers, nameless lackeys are crushed beneath dinosaur hooves or smashed against stone surfaces, entire rows of theater patrons bite the dust, dozens of drivers and passengers on New York streets become casual casualties, anonymous blondes are snatched up and then cooly tossed to their deaths, and faceless military personnel are swatted out of the sky like flies. But this presents a real problem. To get his PG-13 rating, Mr. Jackson has to treat all of the death and carnage as if it’s no big deal. But if the audience is completely calloused to death by the end of the film, how do you make the audience feel badly about Kong’s ultimate demise. Well, you can’t. So instead, you make the audience care about Kong…and then you make him suffer. You have him save the girl, you have them bond, you separate them, you get them back together, you send them on a cutesy ice-skating date, and you give the beast the ability to convey an understanding of abstract concepts like “beauty” through the speedy acquisition of Koko-esque sign language skills. Then you subject him to every human, reptilian, cetacean, geological, gravitational, chemical, theatrical, automotive, architectural, aerial, and ballistic indignity possible. But while poor Kong is abused to no end, Naomi Watts makes it through the film with no signs of trauma other than some teary mascara smudging. The woman must have a titanium endoskeleton. After the “baby shaking” she is subjected to on multiple occasions her brain should have been mush, her neck should have been broken, and her limbs should have been snapped off. And yet she seems completely unaffected by the experience. She also has the ability to spend hours in sub-freezing temperatures in a thin, sleeveless white dress and can make it to the top of the Empire State Building with every curl and sequin in place. But in the end, just as Naomi’s hair remains unmoved, so do we. Sure, we feel sorry for Kong, but for all the wrong reasons. We’re sorry that he had to endure 3 hours and 7 minutes of abuse, pain, and humiliation, when 2 hours and 7 minutes would have been sufficient to tell the story, yet would have inflicted much less damage on both him and the audience. We’re sorry for being part of the crowd that has gathered to see the horrific spectacle. And we’re sorry that he had to pay the ultimate price (and we, upwards of $12) just so the industry could have its Event Film of the 2005 Holiday Season. Other Factors: Those with a low tolerance for animal cruelty (and a high tolerance for Charlize Theron) might want to rent Mighty Joe Young instead. Those with small bladders might want to consider either forgoing their regular moviegoing beverage or catheterization. “As much as it hurts me to say this, I must agree that the A&E 1995 smooch is seriously lacking in the dy-no-mite department. And I was immediately reminded of another of Mr. Firth’s kisses in a different film. So this seems like a good opportunity to do a little compare and contrast. When they were rehearsing their big love scene for the first time, they got to the part in the script where they were supposed to kiss, and she stood there staring ardently into his eyes and waited for him to make his move…and waited…and waited…and waited. No “letting things happen naturally”…no organic, fluid, natural movement…no romance. To him it was all angles, and trajectory, and ensuring that two noses didn’t try to occupy the same space at the same time. Mr. Firth seems to come from the same school of smooching. Now, you can call that a “chaste kiss” if you want, but I think Jenny’s assessment of “seriously lacking in the dy-no-mite department” is more accurate. Which was probably fine with Mr. Firth since he appears to be incapable of moving his lips when kissing anyway. Why do I say that? Because there’s additional evidence to support the claim. Don’t get me wrong. I quite like Colin Firth and I think he’s an excellent actor. (And I say this even after sitting through Trauma at last years’ Sundance Film Festival, for heaven’s sake!) And I can’t imagine anything worse than having my own kisses recorded for posterity and then having them dissected, diagrammed and critiqued by others, but this is the price you pay for Darcyhood. You can’t stand as an impossibly high standard in smoldering good looks, gentlemanly graces, and economic viability, without being held to the same high standard in lip locking. 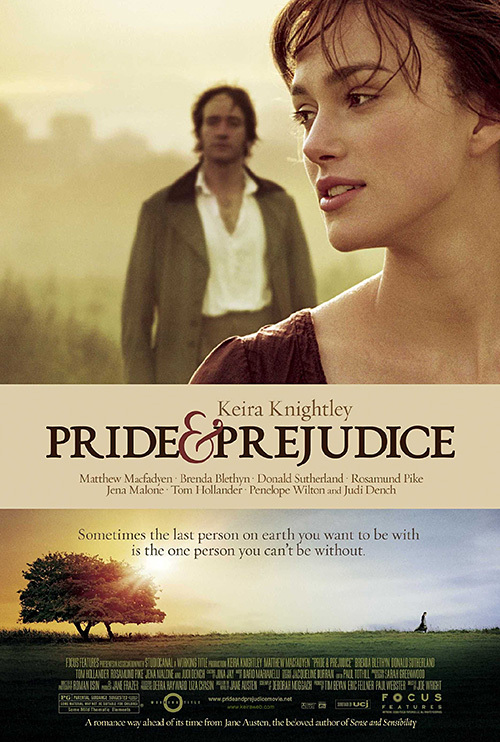 I should admit up front that I was predisposed to dislike the new version of Pride & Prejudice . My well-documented feelings for Ms. Knightley notwithstanding, I had some serious doubts going into it, and I’m sure I’m not the only one. Some people are going to be predisposed to dislike the film simply because it’s not the much-loved 1995 BBC mini-series. Some people are going to be predisposed to dislike Matthew McFadyen simply because he’s not Colin Firth. 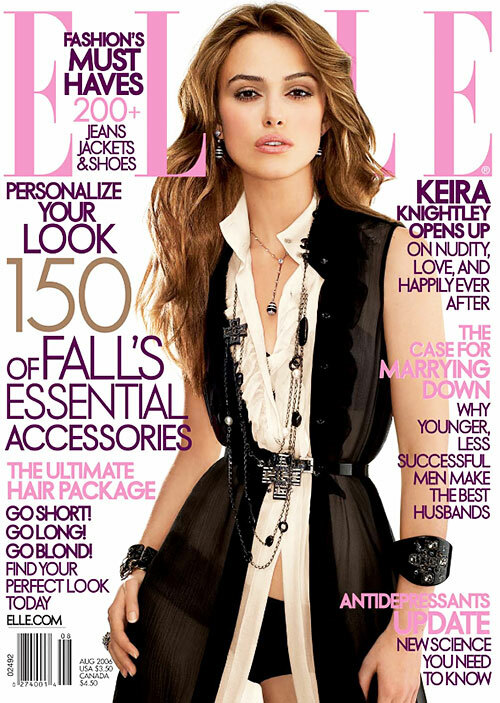 Some people are going to be predisposed to dislike Keira Knightley simply because she is Keira Knightley. I was concerned that the original trailer billed it as being “from the producer of Love Actually and Bridget Jones’ Diary ,” which had me imagining an overly-episodic affair, bouncing back and forth between sixteen individuals’ stories all being told in parallel. 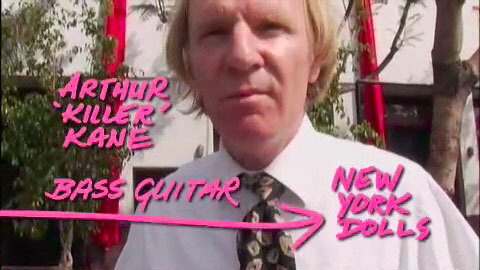 And at only 127 minutes, it was bound to be awfully “Cliff Notesy”. First of all, I loved it. From beginning to end, top to bottom, left to right. It’s not a perfect film, by any means, but there is so much about it that is perfect that I’m willing to forgive its shortcomings. In a packed theater of over 500 people, I think I was the only lone male. And it was obvious from the faces of some of the gentlemen in line that they were not happy to be there. But his masculine protestations might have carried a little more weight if he hadn’t been wearing a “Yanni World Tour 2005” T-shirt. Keira Knightley is absolutely stunning in the film. Again, I’ll admit to a certain pro-Knightley bias, but she’s absolutely stunning in the film. You’ve got to hand it to anyone who is brave enough to take on the role of Elizabeth Bennet…period. Everyone who has read the book has their own vision of what Elizabeth Bennet should be, and it would be practically impossible for anyone to live up to those expectations. I think Jennifer Ehle benefitted from the fact that nobody (at least on this side of the pond) knew who she was. She was a blank slate upon which people could project their own preconceived vision. Well…speaking of those other admirable qualities, there will be some who will contend that she’s too attractive to play Elizabeth Bennet, but as far as I can tell, the only person in the book to intimate that Elizabeth is “no beauty” is Caroline Bingley. And even if she’s “not half so handsome as Jane,” as her mother says, when you’ve got Rosamund Pike playing Jane, that’s not much of an insult. I was a little concerned that Ms. Knightley was going to be too modern for the role, but she’s not at all. And it will come as a relief to many to know that Ms. Knightley’s was able to keep her habitual lip-pursing in check for the duration of the filming. And, finally, did I mention that she’s absolutely stunning in the film? 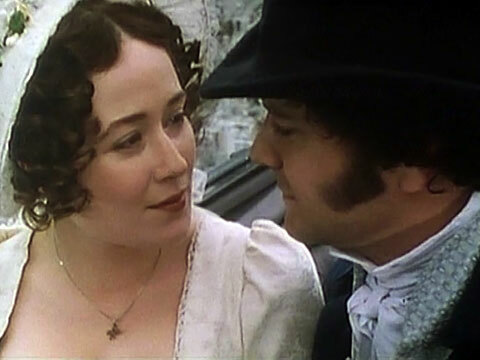 I think the entire Bennet family had a fantastic chemistry. There’s a familial sense of humor underlying all of their scenes together that’s really nice. Keira Knightley and Judi Dench in the same room? Pinch me! The thought occurred to me as I was typing her name just then: Pride & PreJudiDench ? Tom Hollander is the best Mr. Collins yet. Claudie Blakely is the best Charlotte Lucas yet. Rupert Friend, who plays Mr. Wickham, looks like Orlando Bloom’s weedy younger brother. I thought the camera work was brilliant, but did anyone think that the recurring spinning theme (during the dance, on the swing, etc) was too much? [SPOILER ALERT] Delaying Lizzy and Darcy’s first kiss until the final frames of the film was a brilliant strategic move. By the time they actually locked lips, the women around me were literally humming with anticipation. Anyway, what are your thoughts? Am I completely out to lunch on this one?